This adapter adds MagSafe style protection to any USB-C connection. 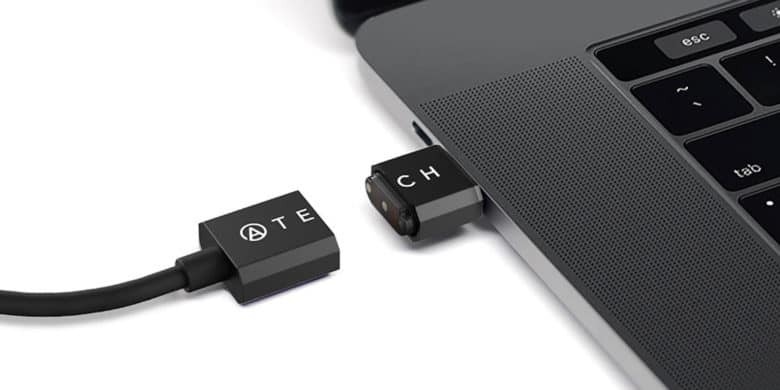 With this USB-C Magnetic Breakaway Charging Cable from Atech, you can regain that valuable layer of insurance against clumsiness. It’s compatible with any USB-C device, connecting it to the wall with a cable that conveniently breaks away whenever it catches too much force. Additionally, it’s rated to charge faster than standard cables, so you’re getting an upgrade along with peace of mind. We all take a bad step from time to time, don’t let it cost you a whole new computer. Buy now: Get an Atech USB-C Magnetic Breakaway Charging Cable for $24.99. That’s a 37 percent discount.